How to buy sewing machines online in India? These days everything is available online. We can buy anything from a pen to a house, online. In this article, we’ll learn how to buy sewing machines online in India. Buying a sewing machine in India online is not the tough task but buying the right sewing machine online is the task we need to understand. This is all what we are going to discuss in this article. The very thing from which you should start the process of buying a new machine online in India is understanding your requirement. You need to find the purpose of sewing machine first. First the broad decision, whether you need a sewing machine for home or for industrial purposes. After this, you have to find what type of tasks you are going to perform on the machine. For home purposes, we need less featurefull machines while for the industrial purposes we need machines which more feature. So, understanding the requirement and purpose for you to buy a new sewing machine will help further choosing a right machine for you. On the basis of your requirement, you need to start browsing the best sewing machines that you can get for your work. There are so many websites on the internet that are specifically dedicated for the sewing machine related stuff. You can make searches on the Google like “Best Swing Machine in India for Home Usage” or “Sewing Machines for Industrial Purposes under 10,000.” These type of searches will help you to find out the right type of machines under a concerned budget of yours. Furthermore, you can also browse the ecommerce sites to see the popularity of various sewing machines. You can find which machines people purchase the most for a particular purpose. After the previous step, you’ll find a lot of sewing machines. Now at this stage, you’ll be a bit confused which machine you should buy, because you will find so many sewing machines having similar features.Now, you have to make deep comparison of each and every sewing machine that you have shortlisted as of now. 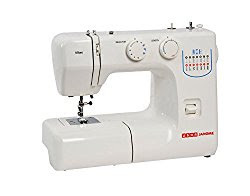 Many Ecommerce sites like Amazon and Flipkart easily allow you to compare the various specifications and features of the sewing machine and some blogs have shared Usha sewing machine price list also to help readers to find best one. So, now in the final step when you chose the right sewing machine, it’s time to get the sewing machine at the best price and from the best place. Sewing machines of every kind are available on many ecommerce sites Online. You should reach right and popular ecommerce site like Flipkart and Amazon. Compare the pricing of the same sewing machine with different sellers and different sites. Once you find the right site offering that sewing machine at the right price, just make sure everything once more and purchase the sewing machine from that site. So, this was all about buying a sewing machine online in India.